greetings from the "Division 2 secrets"-Discord! 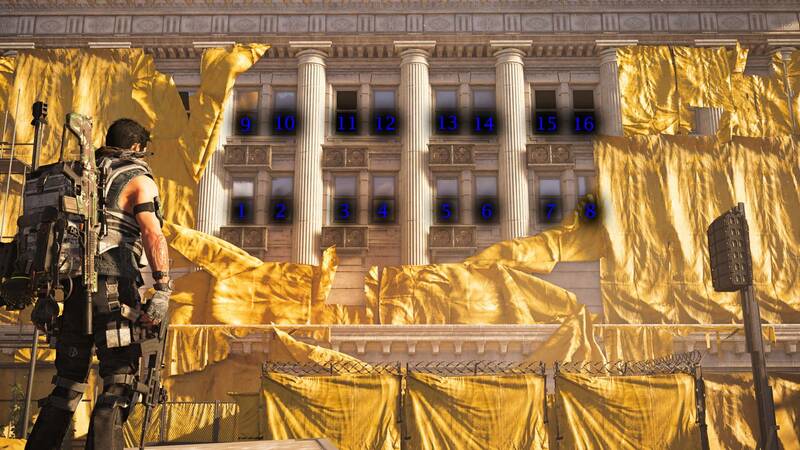 A community dedicated to solving all the riddles in The Division 2. We're at almost 1.000 member now and got around 400 within the last few days. Props to our whole community, you guys are absolutely dedicated, some of us having slept just around 10 hours within the last days. Special props to "One.XP" (uPlay / Discord) and "QuagmireParty" (Discord) for having the final ideas to the solution of this riddle. IMPORTANT: If you miss a window, relog and start again. This will spawn another hunter to your right. He will drop the 7th ivory key. That's it! This works during day and night.